Simplicity is the right answer when you want to have a sophisticated and elegant look. That is why this piece of jewelry is designed to look simple, but chic. 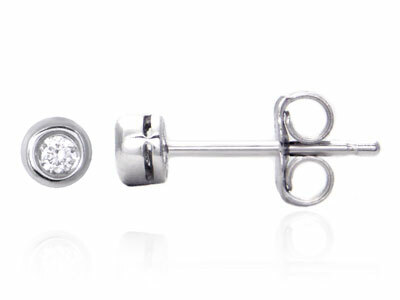 These white gold earrings are very charming and appealing, especially with the diamonds on the top. They are designed especially to complement your modish look. With the earrings, you will be ready for parties right away. Also, they are perfect for formal events too.